Wickford’s Hilda Robinson, 92, was at a very low point in 2013 after losing her husband and suffering two broken bones. She was finding life by herself very difficult, but a social worker told her about the new Community Agents Essex scheme, which helps people like Hilda find their independence and live life as fully as possible. 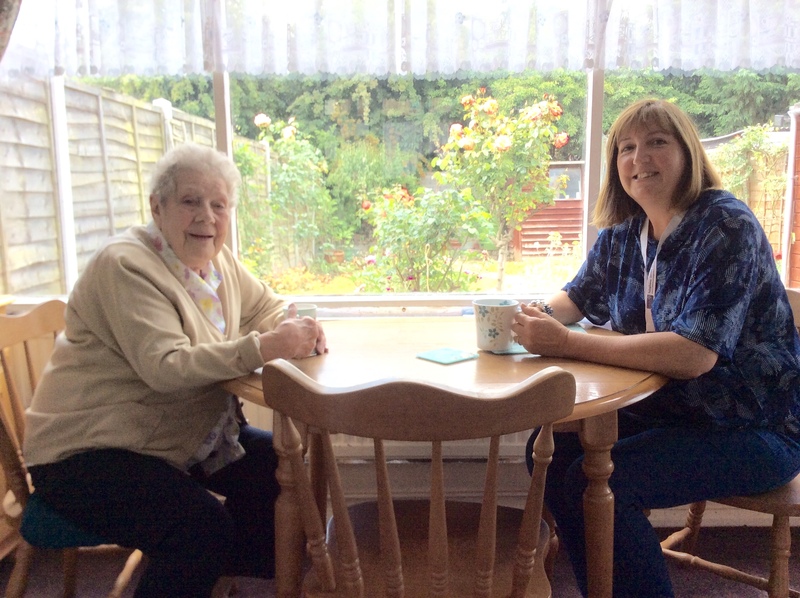 Hilda’s community agent helped her to start making a new life for herself, and now the scheme is looking for more people across Essex who would be interested in volunteering to help others like her. “When my husband died it was a huge shock to me, my whole world shattered,” says Hilda. “We had enjoyed our retirement together and he was so active and vigorous – he cared for me when I had health problems and we did everything for ourselves. After I lost him I got very low – I used to go to bed at night hoping I wouldn’t wake up. Fortunately, Hilda was introduced to Community Agents Essex and soon had a home visit from Rita Carlyon of the British Red Cross, one of the partners in the scheme. Rita, 57, also lives in Wickford and became a community agent because she enjoys working with older people. Rita went to visit Hilda at home, and although she was despondent and tearful at first, as they talked she began to open up and talk about her husband and her interests. With Rita’s help Hilda found the confidence to visit a local craft club for visually impaired people, this has enabled Hilda to find new friends and to rekindle her love of knitting and crochet who now feels much more positive and less lonely. Community Agent volunteers provide a wide range of support including shopping, paying bills, going to appointments, gardening, getting a home help or installing stair rails and grab rails –but the most important part is often the friendly face and conversation. Hours are flexible and full training and support is provided.